grandma's cookie jar: LeapReader 3D Book: Monsters University Book - I'm Giving One Away! 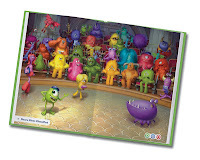 LeapReader 3D Book: Monsters University Book - I'm Giving One Away! There are so many excellent messages in the new Monster's University movie, it is difficult to know where to begin! First of all, the theme of the movie focuses on how we are not all the same; we are different and this is more than okay, it is exactly as it should be! Messages about fear and overcoming it are throughout the book and game as having a dream and not giving up, no matter how difficult or impossible it might seem, making friends and how you may discover someone who you do not initially get along with might end up as one of your very best friends! I love how it encourages children to not pre-judge others and to give them a chance . . . all of these are messages we want our grandchildren to hear and live in their own lives! So, when someone is able to take these solid messages and combine them with solid learning such as; problem solving, logic, nouns, verbs and reading . . . well, what isn't there to absolutely love?!!! I'm so happy to say Leap Frog did exactly this with their LeapReader 3D Book: Monsters University book and LeapPad Explorer Monster's University Learning Game! Rather than make this one really long review, I'm going to review each of these seperately, so . 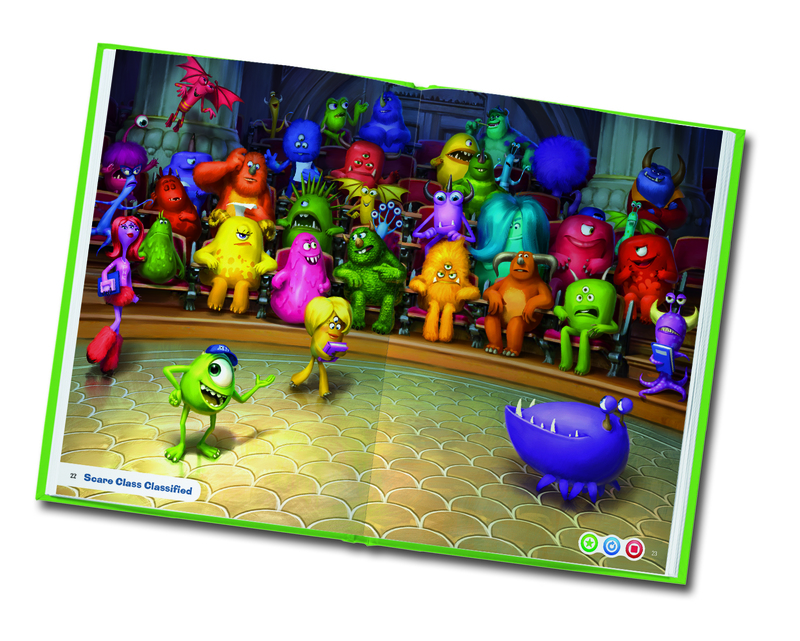 . . let's start with a closer look at the LeapReader 3D Book: Monsters University book! The color and 3D features of this book add so much fun to learning! I really am happy to see so much thought and attention to details went into the design of this book. It is a fun book for children to engage with and when they do, they will be learning! LeapFrog says, "Get into the Monsters University school spirit while building reading comprehension skills! 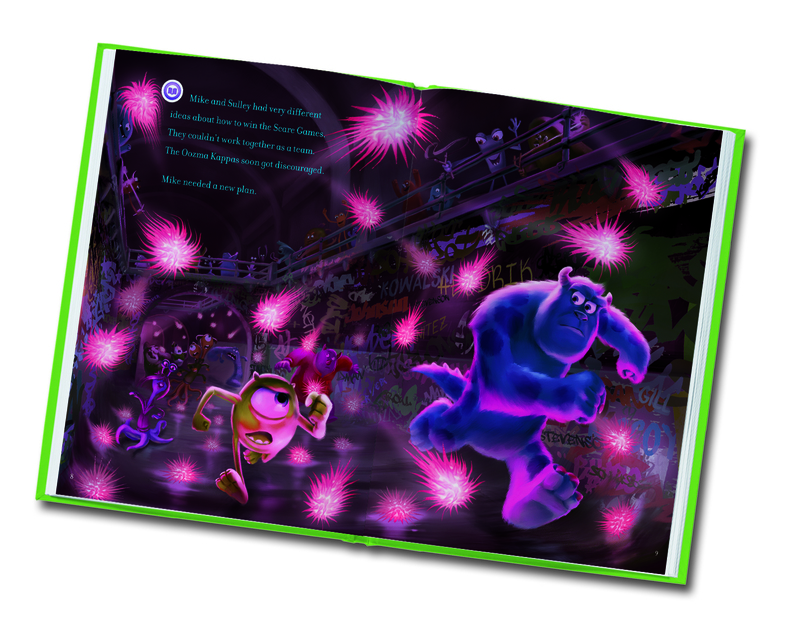 Children can experience Mike and Sulley’s monster world in a fun new way with LeapFrog’s first-ever 3D book. Join the fun on campus as these two monsters learn to appreciate their differences and train to compete in the famous Scare Games. Kids will have a roaring good time while building reading comprehension and vocabulary skills. They can choose a personalized monster name, and experience enhanced story art with their own pair of 3D glasses. This LeapReader title is compatible with Tag™." Each page of this book has so many activities - along with reading; by touching characters in the illustrations Josiah could hear what they were saying or receive instructions for activities he could do! He sat right down and went through the entire book, checking out each page and told me the book was, "lots of fun!" He thought it was cool to look through the 3D glasses and liked the games and activities on each page! The Monster's University 3D book not only had the return of Mike and Sully - well-loved friends from Monster's Inc, but it also told a great story! Children are able to think and talk about things they are afraid of and how to overcome their fears as they learn about nouns and verbs. This would actually be, "enough", if it wasn't a resource developed by LeapFrog! They went above and beyond to help children learn "position" words, such as, "front", "behind", "left", "right". This book helps children, as LeapFrog said, "learn about position words and build deductive reasoning in a fun and memorable way. Kids are asked to use detective work. For example, the direction 'Find a monster with spikes who is in FRONT of someone who has three eyes.'" Children will discover how to pay attention and notice details as they learn these words! I love how while the Tag Reader is a great tool for helping children learn to read, they do not just focus on the skill of reading a word; they also focus on comprehension. "Learning is reinforced through games and activities which revolve around Monsters University campus. To build advanced vocabulary, kids tap on a word with Tag Reader™—for example, “arachnophobia”, or fear of spiders—and are prompted to search for a picture which demonstrates their understanding of the word’s meaning." This is LeapFrog's first 3D book and I have to say, they absolutely hit the nail on the head! The 3D not only looks amazing with their special 3D glasses (which come with the book) but the pictures still look colorful and amazing without the 3D glasses! The text not only can be read with the 3D glasses on, but it can be easily read without the 3D glasses! Your grandchildren will love the way the 3D brings the illustrations to "life"! 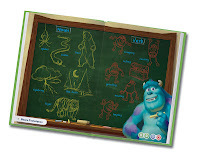 Clearly the LeapReader 3D Book: Monsters University book is great fun and an excellent tool to help your grandchildren learn to read and so much more! I'm so happy to say not only did LeapFrog send me a LeapReader 3D Book: Monsters University book to review, but they are also making one book available for me to give away! I will have a drawing for it on June 13th (USA only) If you are 18+ you can enter this contest by commenting below to let me know if you have followed on Google+, Google Friend Connect, followed by liking on facebook with the tab in the "Find us on Facebook" box ON THE BLOG (not just liking the post) and/or have followed grandma's cookie jar by email. For each of these which you have done you will receive one entry. In addition, if you "share" this post, you'll receive an additional entry each time you "share" (please let me know if you share). 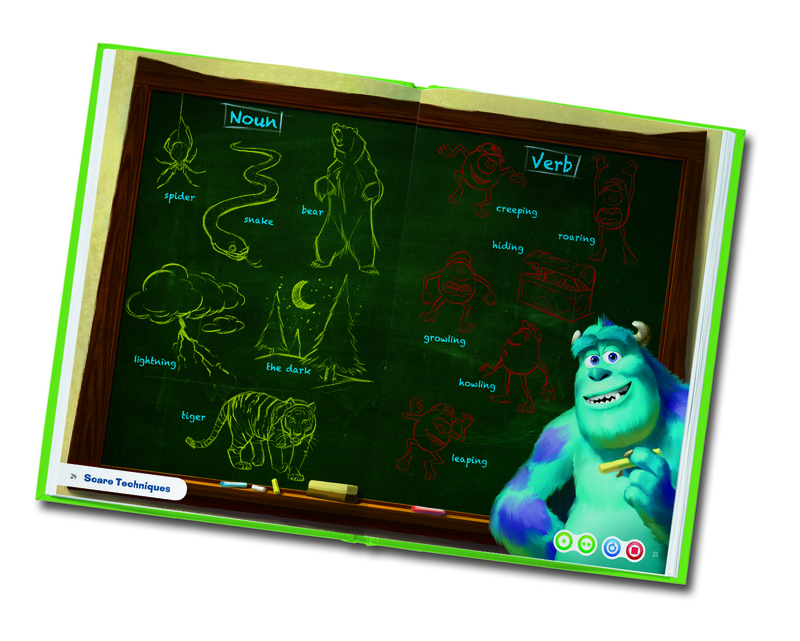 This will help me be able to draw a name from among people who would like to win LeapReader 3D Book: Monsters University book and it gives you several ways to enter the give-away! Thank you for reading grandma's cookie jar and for sharing it with the people you know!